The “official” news hasn’t been released yet, but a few quick notes to update you on pitchers–coming and going. LHP Jake Diekman has been re-called to the Philadelphia Phillies in advance of the game this afternoon. RHP Dustin McGowan has been DFA’d to make space on the 25-man MLB roster. I imagine he’ll be out-righted from the 40-man tomorrow assuming he passes through waivers, clearing a 40-man spot. RHP Phillippe Aumont will return to the Majors tomorrow to start for the Phillies. LHP Cole Hamels will sit with a hamstring strain. 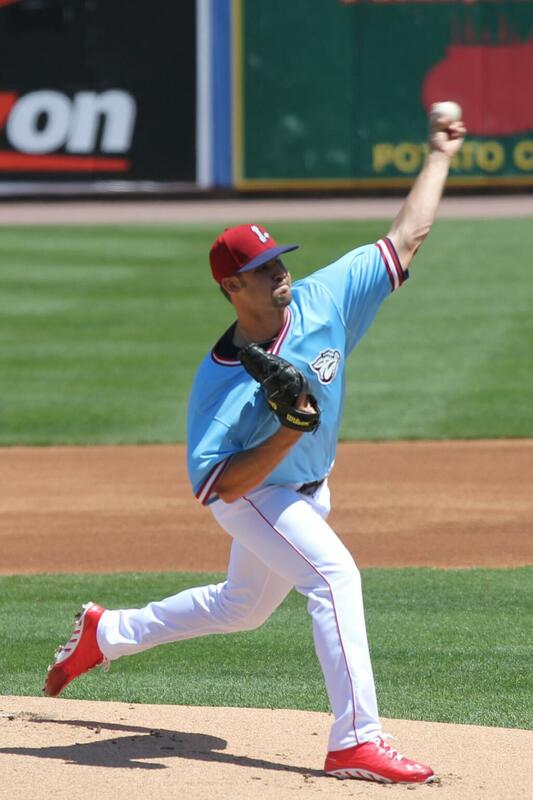 LHP Adam Morgan left last night’s game after just 2 innings and 35 pitches, and was not injured. This, fueling speculation that he could be tabbed to start for the Phillies on Sunday. He’s already on the 40-man roster. RHP Jason Berken last pitched on June 14th, so he should be good to go tomorrow to step back into the starter role he’s been in and out of the whole season. LHP Anthony Vasquez should take Saturday, and RHP Chad Billingsley is still slated to take Sunday. Monday is an off-day for the team, so that should allow them to re-shuffle a bit if needed, before they shuffle off to Buffalo. Meanwhile, it looks like Yankees pitcher Ivan Nova will make a rehab assignment start for the Rail Riders on Friday against the Ironpigs and the Yankees #1 prospect Luis Severino will get a start on Sunday.